If you’re on a blood thinner, it’s important to know that pharmaceuticals aren’t the only option. There are effective natural blood thinners as well. That said, it is extremely important that you consult your medical professional before deciding to stop taking any medication — or before taking natural blood thinners while also taking a blood thinning medication. Blood thinners like warfarin are prescribed to thin the blood and prevent blood clots that could lead to a stroke or heart attack, so whether or not it is wise to stop the medication entirely is a question for your doctor. That said, here are a few natural blood thinners to be aware of. If you want to give any of these a try, do so under the care and supervision of your doctor. Some species of garlic, it’s believed, can lower blood cholesterol and triglyceride levels. This, in turn, can reduce the risk of plaque formation and the risk of heart attack. A study in the International Journal of Clinical and Experimental Medicine suggests that garlic supplements can indeed lower levels of blood cholesterol and help to ward off blood clots. Garlic is believed to have a number of other health benefits as well, including preventing the common cold. 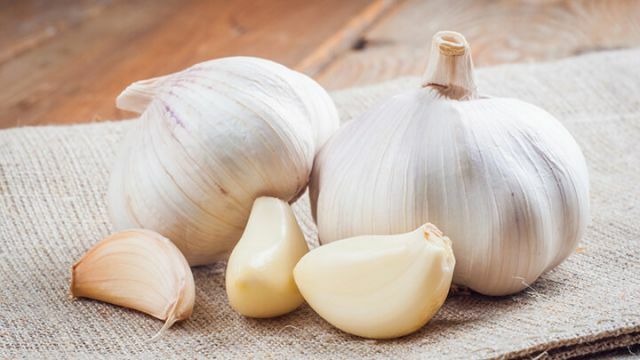 One study, conducted over 12 weeks, found that those participants who were regularly given garlic experienced fewer colds than those receiving a placebo, and they recovered more quickly when they did get sick. And as a bonus, it’s delicious! Some believe that prolonged heat exposure may have an impact on garlic’s medicinal qualities, so a supplement that has not been exposed to heat may be more beneficial (unless you don’t mind the taste of fresh garlic). You’ve probably heard that ginger can be effective at treating nausea, including motion sickness. But it can be helpful as a blood thinner, as well. Like garlic, preliminary research is suggesting that ginger may help to lower cholesterol, thereby preventing blood clots. It is also believed that ginger may improve blood sugar control, which is particularly beneficial for those at risk for type 2 diabetes. It is also believed that ginger may be used to treat gastrointestinal distress, including gas, and that it has anti-inflammatory properties. 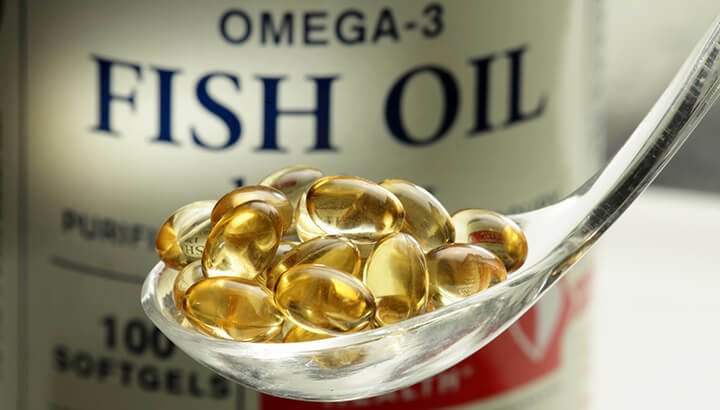 Fish oil is rich in omega-3 fatty acids, which help to reduce the aggregation of blood platelets, thereby reducing the risk of clotting, heart attack and stroke. It is also beneficial because it can help to restore your balance of omega-3 and omega-6 fatty acids. Both are essential fatty acids, meaning your body doesn’t produce them, and you have to get them in your diet. But the American diet is typically much higher in omega-6s because they are found in meat and dairy products, while omega-3s are found in foods like fish, nuts and olive oil. Omega-6s can contribute to inflammation, while omega-3s fight it. Like fish oil, vitamin E helps to prevent blood platelets from sticking together and causing clots. Vitamin E can benefit your heart in other ways as well. It helps to prevent cholesterol from oxidation, which is what allows it to stick inside the arteries and lead to cardiovascular diseases. A study published in the New England Journal of Medicine shows that participants supplementing with vitamin E each day reduced their risk of a heart attack by approximately a third. 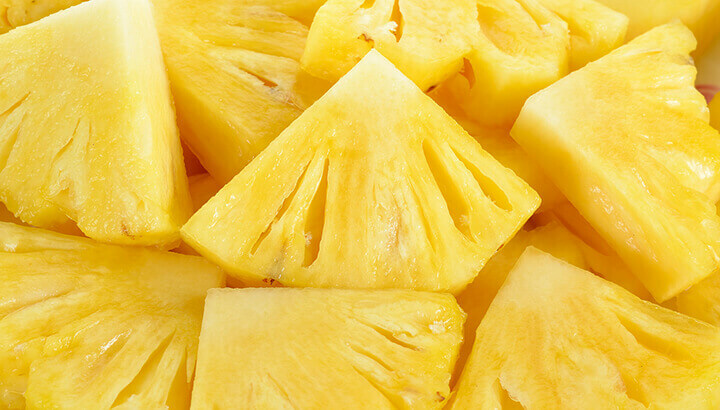 It is believed that bromelain, found in pineapples, can help to break down proteins in the blood that contribute to blood thickening and clotting. It is also thought to have a number of anti-inflammatory benefits, and to be an effective aid in improving digestion. Though more research is needed, bromelain has also been used to treat asthma, sinus infections, allergies and more. These are just a few of the effective natural blood thinners. It is understandable why many people may not want to take blood thinners like warfarin. According to the Mayo Clinic, side effects of warfarin include severe bleeding, heavy menstrual bleeding, severe headache or stomach pain, joint pain, the vomiting of blood or a material that resembles coffee grounds, bruising, dizziness, weakness and more. However, warfarin is prescribed to prevent potentially fatal health conditions, like stroke and heart attack. Therefore, it is extremely important that you consult your physician before discontinuing the use of a blood thinner. It is always important to be proactive about your own health and to learn everything you can about any possible treatments to a health condition. The more knowledge you have, the more empowered you are. So understanding the possibilities for natural blood thinners is beneficial. Still, do not discontinue the use of a blood thinner without the go-ahead from your physician — and be sure to consult a medical professional before taking natural blood thinners while on a blood thinning medication. Hey Buddy!, I found this information for you: "Five Natural Blood Thinners That Could Replace Warfarin". Here is the website link: https://www.thealternativedaily.com/five-natural-blood-thinners-to-replace-warfarin-garlic-ginger-fish-oil-vitamin-e-bromelain/. Thank you.